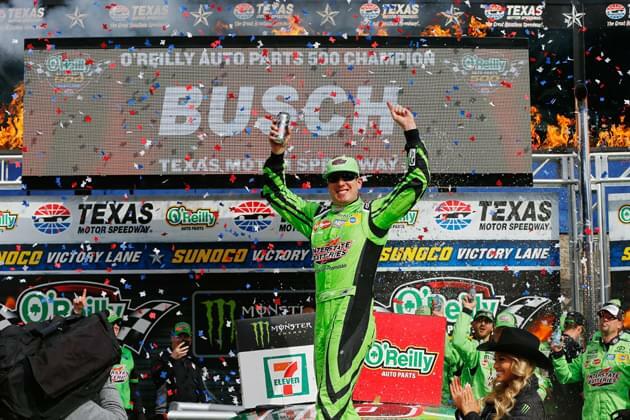 Kyle Busch finally got to take a bow in the 2018 NASCAR season at Texas Motor Speedway in the O’Reilly Auto Parts 500. 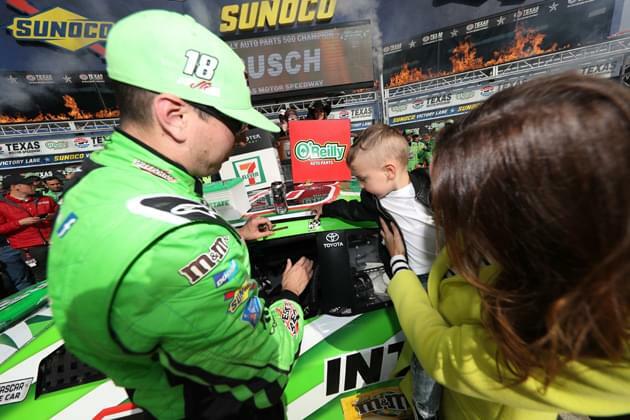 You could not describe Kyle’s start to the 2018 Monster Energy NASCAR Cup Series season as bad. However, he would describe it as frustrating through the first six races. He finished 25th in the season opening Daytona 500. Kyle improved to a 7th place finish the following week. In the past four races he has finished 2nd, 2nd, 3rd and 2nd (in that order). That’s a pretty good start to a season by anybody’s standards. 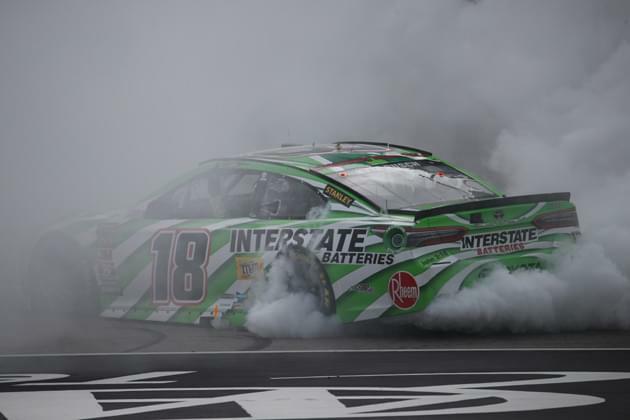 However, Kyle has had a chance to win those last four races and just could not close the deal, thus the frustration. 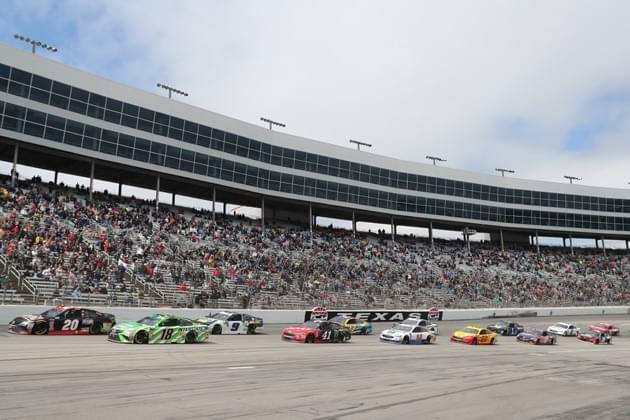 When the NASCAR Cup Series drivers started the race on Sunday (4/8) the temperatures were much colder that typical than usual for a race at Texas Motor Speedway as they had been all week. 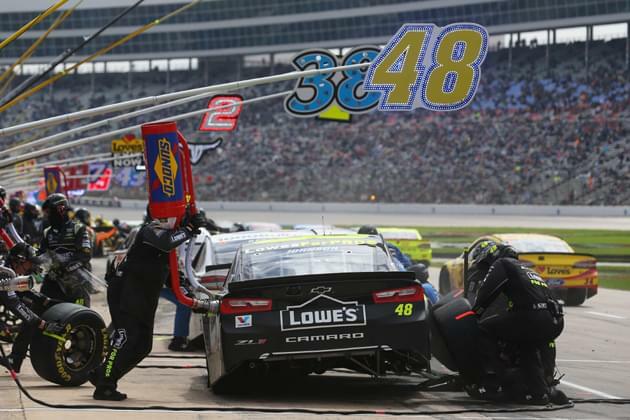 That meant the teams and drivers were unsure of how the cars were going to perform other than they were able to go faster than typical at the track. 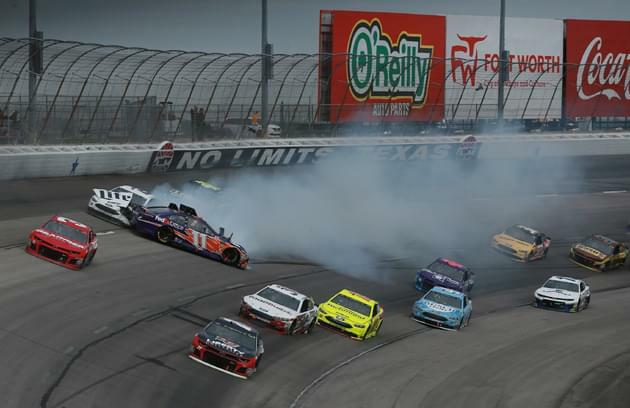 It didn’t take long to find out that there were going to situations the drivers and teams would be dealing with as the first caution period came on lap three when four cars were involved in an on-track incident. There would be a total of eight caution periods for the day with one coming just prior to the end of stage one and serving for both the accident and the stage end. One of the caution periods was for the conclusion of stage two of the race. Several of the cars that were favored in the race met with misfortune throughout the race. Kevin Harvick was one of the favorites to win the race. While Kevin did not fall victim to blown tires or crashes, he did have issues during his pit stops that haunted him throughout the day. 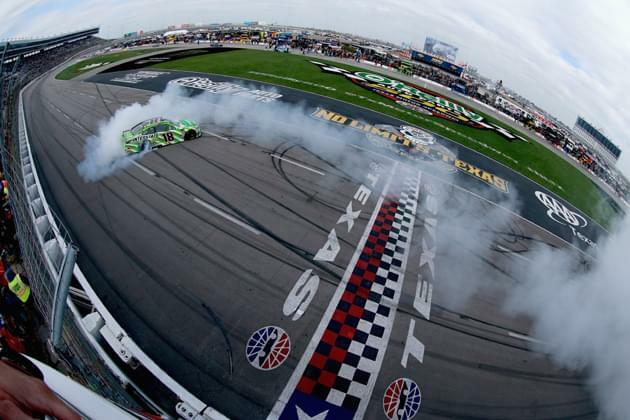 Kyle Busch was having another great race with no issues at all it seemed. He led a race high 116 of the 334 laps in the race. However, as the race was coming down to the final laps he had to be wondering what circumstance was would appear to steal this race from him as has been happening for the past month of racing. 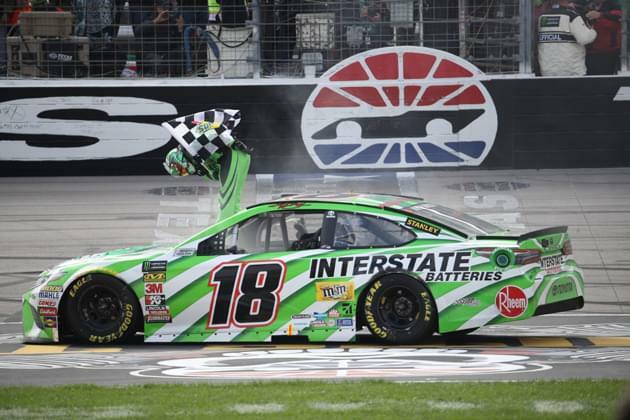 Kyle took the lead with 30 laps remaining and was able to not only hold off the hard charging Kevin Harvick, but also bad luck and capture his first checkered flag of the 2018 NASCAR Cup Series season. 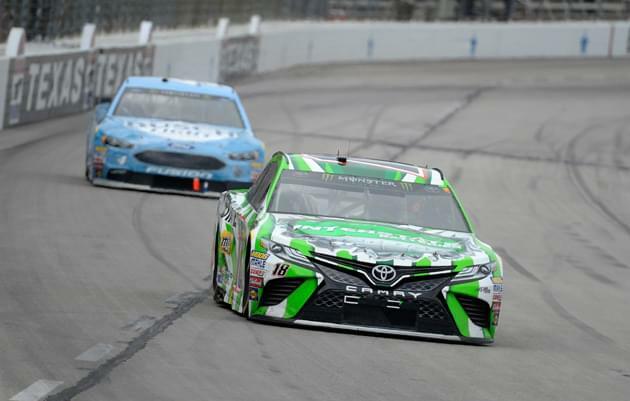 Kevin crossed the line in second place with Jamie McMurray, Erik Jones and Ryan Blaney finishing in third through fifth places respectively. 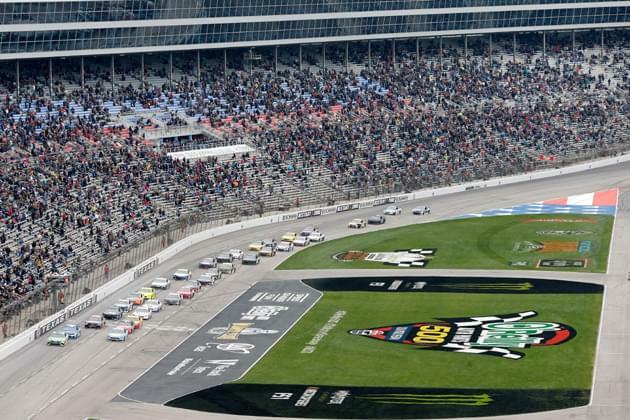 See the complete race results for the O’Reilly Auto Parts 500 at Texas Motor Speedway here. 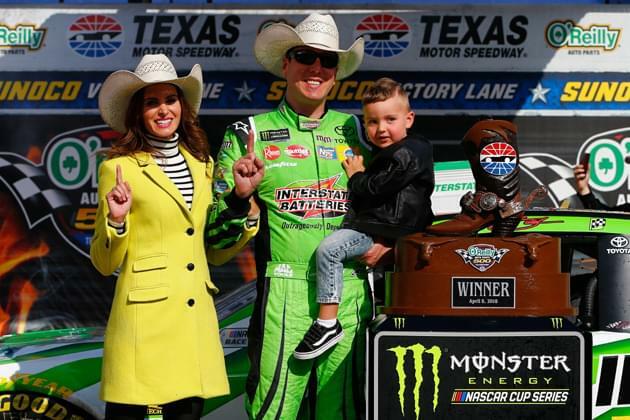 Kyle’s win means not only is he all but guaranteed in NASCAR’s postseason, it also helps him hold on to the lead in the point standings. 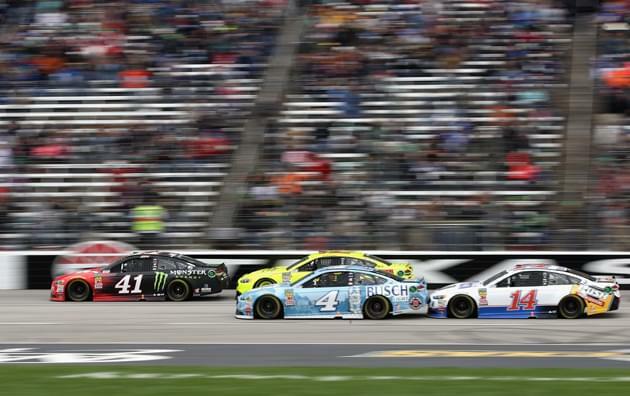 Kevin Harvick jumps up to second place in the point standings after the Texas race with Jamie McMurray also taking a big move to third place. 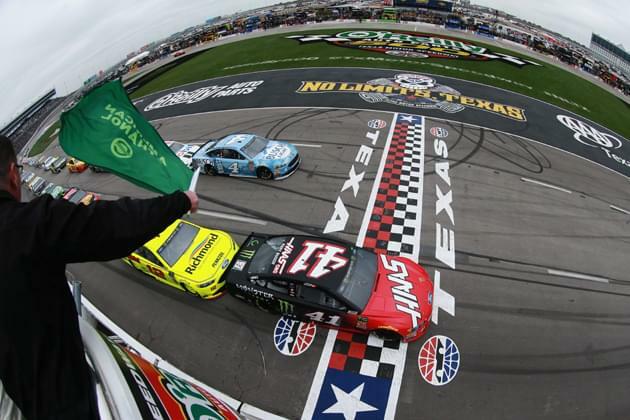 Erik Jones takes a big leap to take over fourth place in the standings while Ryan Blaney falls back two spots to fifth place. 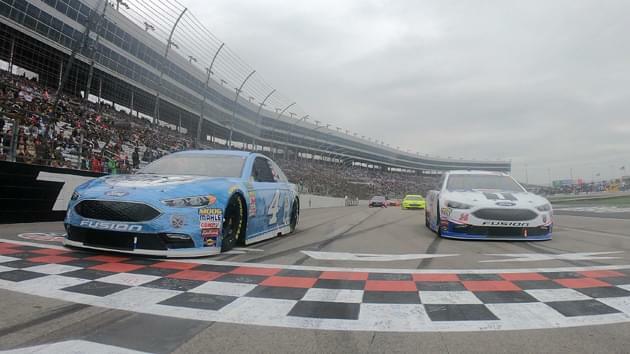 See the complete Monster Energy NASCAR Cup Series point standings here. 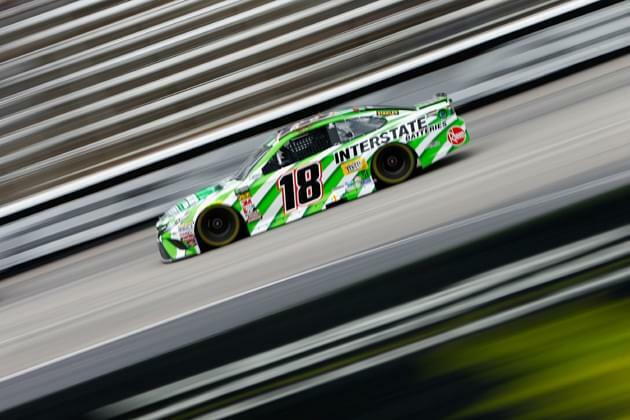 The NASCAR drivers will beat and bang on each other this week as they head to “The Last Great Colosseum.” The Food City 500 is set for Sunday, April 15th at Bristol Motor Speedway.